Item # 309079 Stash Points: 3,595 (?) This is the number of points you get in The Zumiez Stash for purchasing this item. Stash points are redeemable for exclusive rewards only available to Zumiez Stash members. To redeem your points check out the rewards catalog on thestash.zumiez.com. 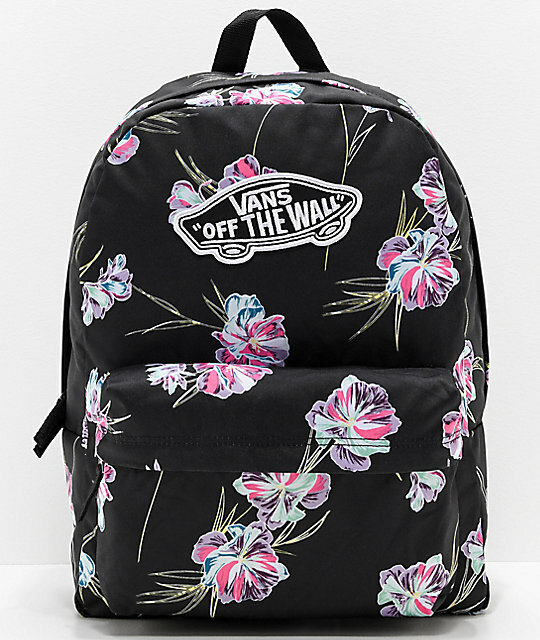 Store all your goodies in classic floral style with the Vans Realm Floral Paradise Black Backpack. 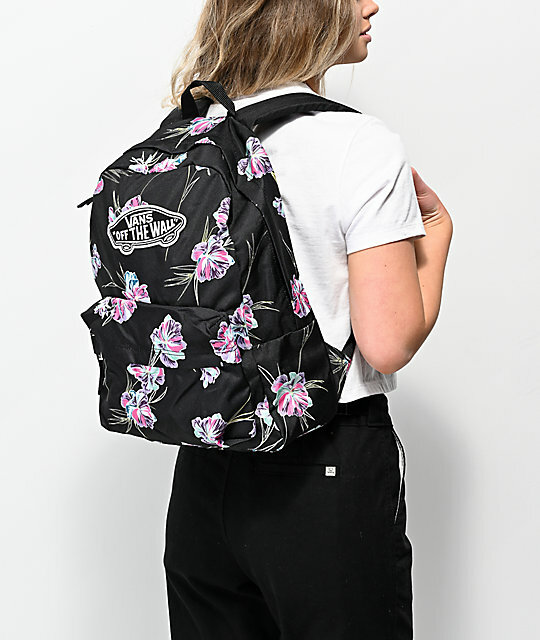 This all black backpack offers vibrant floral print detailing throughout for contrast and style, while the large main compartment and front pouch both with full-zip closure offer a whopping 22L of storage. Finished with a large Vans logo patch front-and-center, along with a 15" laptop sleeve for organized storage, you just found your new favorite bag. 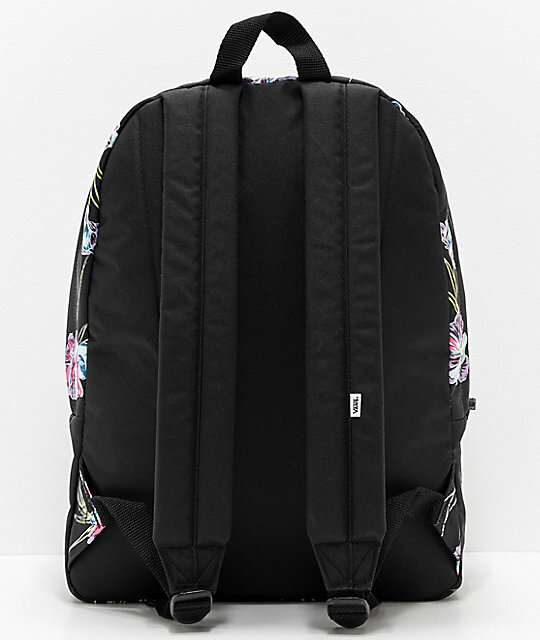 Realm Floral Paradise Black Backpack from Vans. 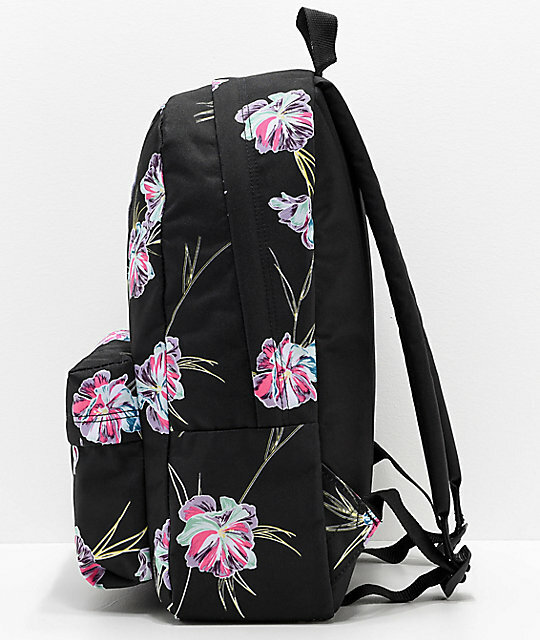 Black canvas exterior with blue, purple and pink floral print. Vans patch on the front. 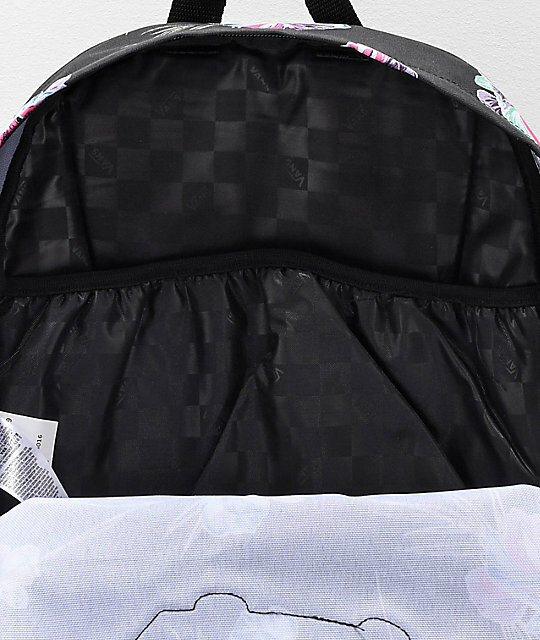 Front storage pocket with organizers. 17" H x 12.75" L x 4.75" D | 42.5cm x 32.5cm x 12cm.